"No traditional media player would find it possible to play on these terms," said Greg Maffei, CEO of Liberty Media. 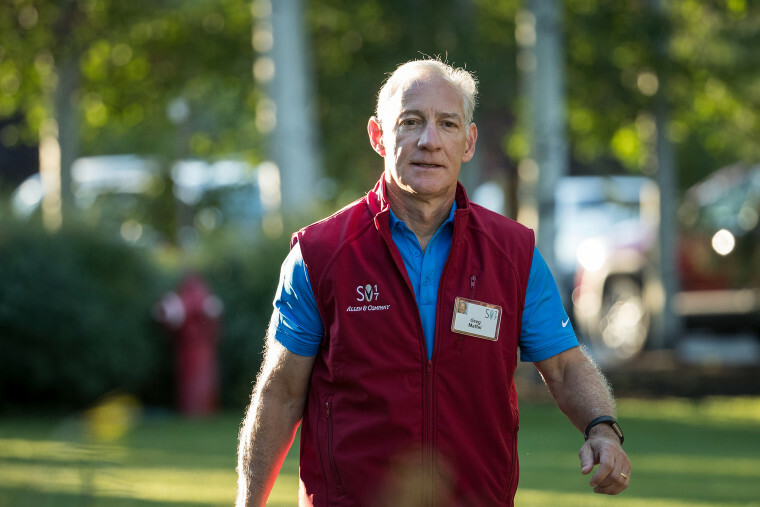 The head of Liberty Media, one of the biggest long-term investors in the media business, has sounded the alarm about Silicon Valley money that has flooded the entertainment industry — and warned that even Netflix could eventually be subsumed by the likes of Google, Amazon and Apple. "No traditional media player would find it possible to play on these terms," said Greg Maffei, CEO of Liberty Media, speaking at the company's investor meeting on Wednesday. The comments reflect growing concern from traditional media companies about looming threats from tech giants that have been slowly entering into the realm of content production without necessarily needing to make much money off it. "The people who are paying don't need to have it pay for itself," said Maffei, who suggested that Apple could afford $20 million for a 30 minute "Carpool Karaoke" episode by selling a few more devices. Amazon could justify a "mind blowing content budget," Maffei said, thanks to its 100 million Prime subscribers. Maffei, a former chief financial officer of Microsoft, now oversees a company that is in the midst of digital shifts in a variety of entertainment businesses. Liberty Media has stakes in music, sports and entertainment companies, and its assets include music streaming company Pandora, satellite radio company SiriusXM, ticketing company Live Nation, Formula One racing and the Atlanta Braves. It also owns stakes in Viacom, food-focused digital media company Tastemade and AT&T, as well as a position in iHeart Radio's debt. Maffei was joined by John Malone, the Liberty Media Chairman who is considered the architect of the modern cable industry. Malone personally holds stakes in companies including as Discovery Communications, Lionsgate and Starz. Malone said that as tech companies crowded out traditional media players, others companies could find opportunities in being purely content suppliers. "Not everybody is going to be able to do a global direct-to-consumer platform, so many will be trying to move into that space as a supplier, in some cases branded and in other cases as part of the food chain." Maffei also noted that money from tech companies had not just meant pricier productions — it also meant more content and places to consume it, highlighting in a slideshow presentation that online content has grown 680 percent since 2012, while the number of over-the-top services has shot up to around 200. Just about every major media company either has or is working on its own streaming subscription service, with a wide variety of smaller niche offerings catering to particular consumers tastes. Maffei said he did not expect them all to survive. "I have a full expectation that we will see an RIP for video platforms," he said ominously, when drawing a comparison to streaming music startups that were winnowed in recent years to a few players. Maffei said that most people will pay just $38 per month for streaming services, which he said would be fine for deep-pocketed tech companies but could be a problem for the current pay-TV ecosystem that relies on consumers paying in excess of $100 per month in long-term contracts. Maffei also noted that piracy and discounting is rampant in the streaming world. Maffei praised Netflix for becoming the "king" but questioned how long its run of success could continue. "What does winning look like?" Maffei said. "You have to ask a few questions. They're going to burn $3 billion of free cash flow this year," adding that the company had just raised $2 billion in debt to fund content — its third debt raise this year.